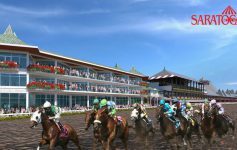 Saratoga Race Course’s summer meet concludes this week, but don’t despair! There are still plenty of races and fun events to check out if you’re looking to end the racing season on a high note. Get ready for the Woodward on Saturday, the final giveaway day on Sunday, and much more during Week 7 at the Track! 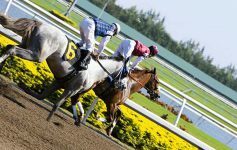 The New York Racing Association, Inc. will thank their loyal racing fans by hosting a series of special events, activities, and offers during closing week at the Track (August 29 – September 3). Place your bets for the With Anticipation! 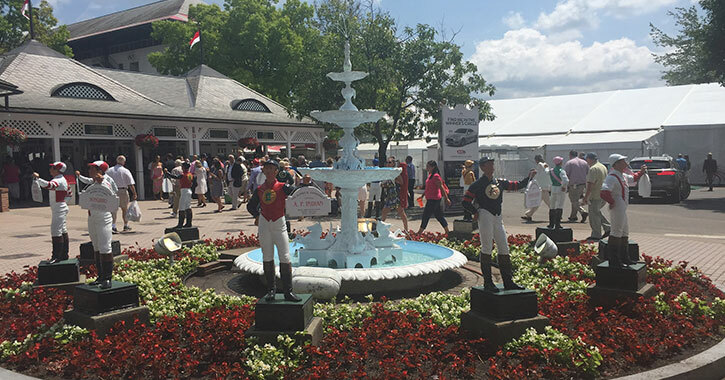 To celebrate their 10th Annual College & Alumni Day, Saratoga Race Course will invite racing fans to visit the Coca-Cola Saratoga Pavilion on Wednesday for special activities, giveaways, and displays from Capital Region colleges. Fans are also encouraged to show their school spirit for a chance to win prizes. Place your bets for the P.G. Johnson! On Thursday, racetrack guests are invited to sample Aperol Spritz cocktails at The Post Bar from 3:30pm-5:30pm. At Thursday’s Taste NY, guests will have the chance to sample an awesome selection of cider, wine, and spirits from NY State craft beverage producers. The tasting will be offered from 12:00pm-5:00pm and will be accompanied by live music. Place your bets for the Lucky Coin! Want to sample a great selection of craft beers that are produced right here in New York State? If so, then stop by the Coca-Cola Saratoga Pavilion from 12:00pm-5:00pm for Taste NY: Craft Beer. Guests will be able to enjoy five samples for $5. After the day’s final race, Race Course guests are invited to enjoy bourbon cocktails and play trivia at The Post Bar. This event will be sponsored by Woodford Reserve, and it will run from 6:00pm-8:00pm. Place your bets for the GI Woodward, GI Spinaway, GIII Saranac and GII Glens Falls! On Saturday from 2:00pm-4:00pm, head to The Jim Dandy Bar if you’d like to sample the Woodford Reserve Saratoga Personal Selection. There will also be live music with Jeff Brisbin. Shop for women’s and men’s apparel and accessories during Saratoga Race Course’s Fashion Saturdays series. Held at the Coca-Cola Saratoga Pavilion, this event will feature a variety of local retailers from 10:30am-5:00pm. Sample the new Ketel One Botanicals at The Post Bar from 3:00pm-5:00pm. Place your bets for the GII Prioress! The final giveaway day of the 2018 racing season at Saratoga will be on Sunday. The giveaway item will be a packable red and black Saratoga windbreaker. 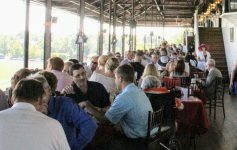 Visit the Coca-Cola Saratoga Pavilion for Taste NY: Food & Artisans, which will feature numerous food and artisan vendors displaying their products. This lively market will be open from 10:30am-5:00pm. The Low Roller Challenge is a chance for aspiring handicappers to experience the excitement of tournament play for $40. Registration will begin at 11:00am near the Fourstardave Sports Bar. Place your bets for the GI Hopeful and the GII Bernard Baruch Handicap! Bring the kids over to the Coca-Cola Saratoga Pavilion on Monday for family-friendly activities, games, attractions, and more. The Berkshire Bank Family Mondays event series will be held from 11:00am-4:00pm.